Your bag should meet your device’s expectations. 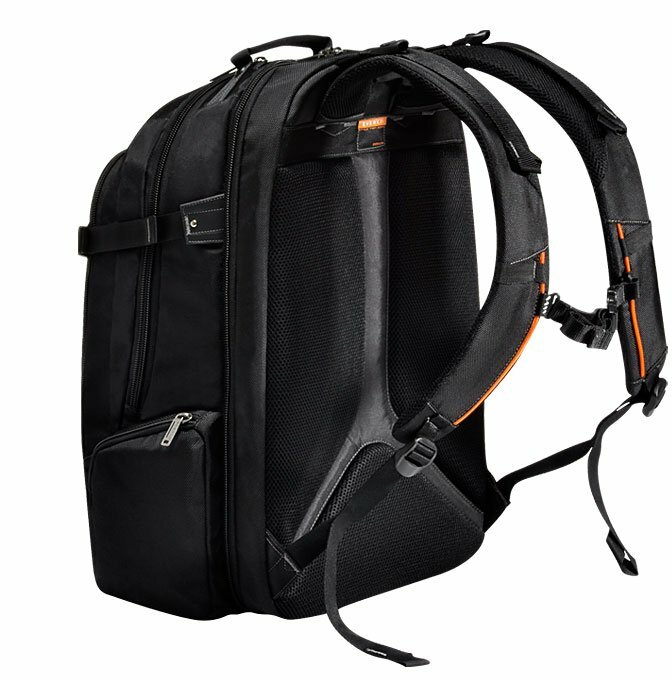 Today’s high-end gaming and multimedia devices will feel well-represented, secure, and comfortable in this sharp, smartly-designed and spacious backpack. The Titan. This is where function meets form. We’ve designed this backpack to be large enough to hold what you need, yet intuitive enough to find things where you expect them. 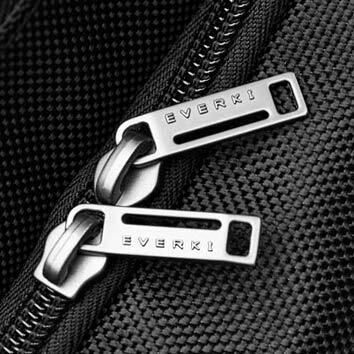 Countless hours were spent designing, redesigning and testing the Titan to ensure the quality, versatility and style you’ve come to expect from an EVERKI bag. Our passion for function and a relentless attention to detail makes the Titan a veritable powerhouse. You require large compartments and high functionality, but you don’t want to compromise on form. So the Titan is tailored to be spacious, yet stylish and sleek – with black exterior and high-contrast orange interior. We created the Titan to be just what you’re looking for. Yes, The Titan has lots of large compartments, but that’s not what makes it so innovative. We’ve designed intuitive spaces for smart organization, buckles and straps positioned for on-the-fly adjustments; and pockets, pouches and slots for fingertip access. The extra large laptop compartment is roomy enough for the most behemoth 18.4-inch laptop. In the main storage area, you’ll find large, divided spaces which allow you to keep chargers and power supplies separate from fragile files and documents. The felt-lined tablet pocket safely secures your iPad or Kindle, while the front compartment allows you to store business cards, pens, calculators or peripherals. 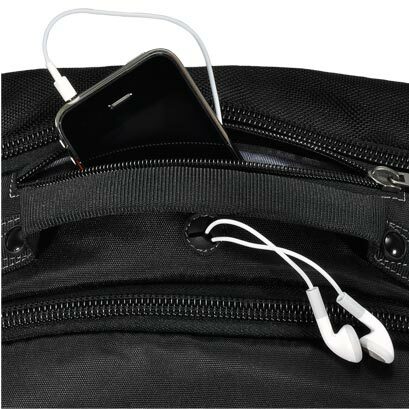 And the soft, scratch free, lined portable media player pocket with cable outlet is positioned right at shoulder level to give you enough length in your cord for comfortable, slack free use. Airport security can be a big hassle, so we designed the Titan with our hassle-free 180 degree fold-out design. The Checkpoint Friendly laptop compartment allows you to breeze through airport security without removing your device from its compartment. Simply open the Titan up 180 degrees, lay it flat, and your bag will quickly pass through the scanner. Should you need to remove your laptop, you can take it out and replace it without rummaging through your backpack or removing other contents. Take the Titan on the plane with you. It’s designed to fit in the cabin above and in most cases, under the seat. It’s that friendly. When your backpack is fully loaded it can get heavy, so we engineered a 5-point balance strap system to ergonomically distribute the weight and reduce muscle strain. With pillow-soft straps adjustable at the shoulders, 2 quick-slide straps at the bottom and one across the chest; you have total control over weight distribution. 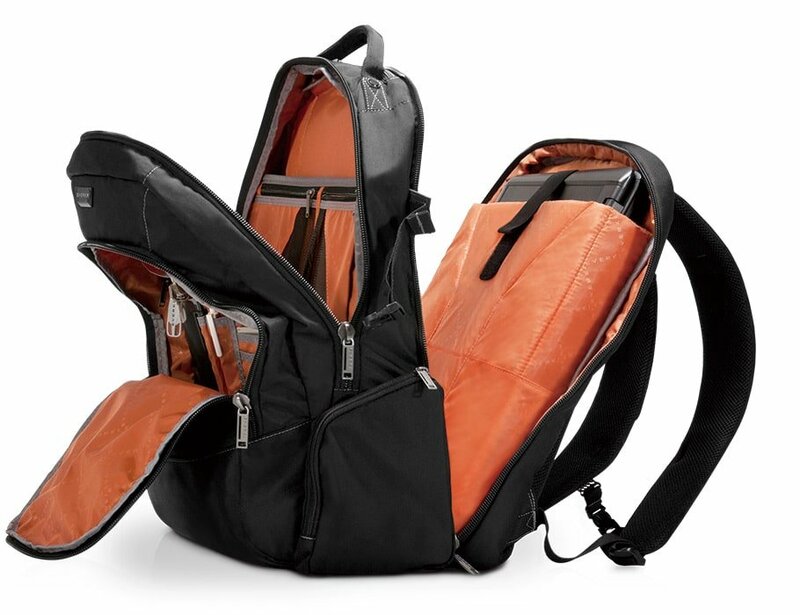 This allows you balanced comfort, even when your backpack is full. 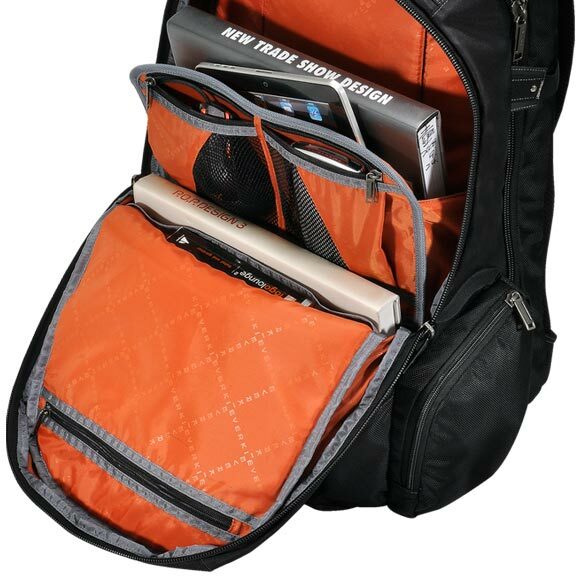 The Titan’s ergonomically designed carry system also boasts a padded back panel, mesh padding and deep airflow channels to provide maximum air circulation for breathability. The Titan: cool comfort, total control. 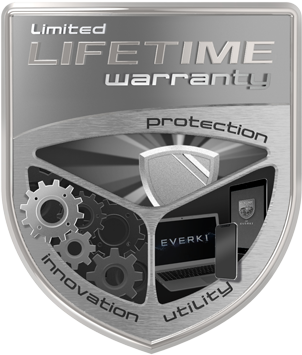 Your equipment is valuable, so we added multiple layers of padded protection, a security strap to keep your device in place, and super soft felt that ensures your laptop is secure and safe – even when traveling. 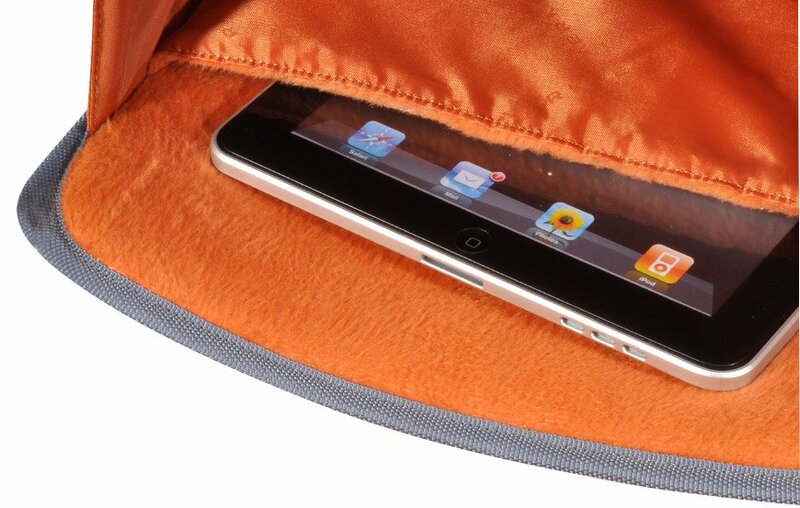 The interior of the tablet pocket is also felt-lined and properly sized for an iPad, Kindle or other tablet to minimize damage caused by slipping and sliding. The Titan also comes with a water-resistant weather cover to protect your gear from the elements. The large metal zippers come with lock holes to keep your contents safe. Don’t worry, you’re covered. You don’t want your power brick to get in the way or become a tangled mess. 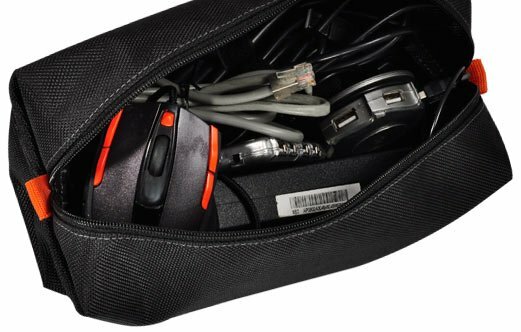 That’s why we designed the Accessories Pouch to separate your mouse, chargers, power supplies and cables from your more sensitive items. Have you ever broken a zipper on your favorite bag? We have. That’s why we designed the Titan using heavy duty metal zippers with extra large pulls. So your favorite backpack can remain your favorite backpack. Cables tangled around your backpack straps? No more. The Titan comes equipped with a media-player compartment at shoulder level – and it’s designed so you can keep your cables at just the perfect length.